The product that you presented to the Trends & Innovations Event has been selected by the indipendent committee of experts in food innovation. 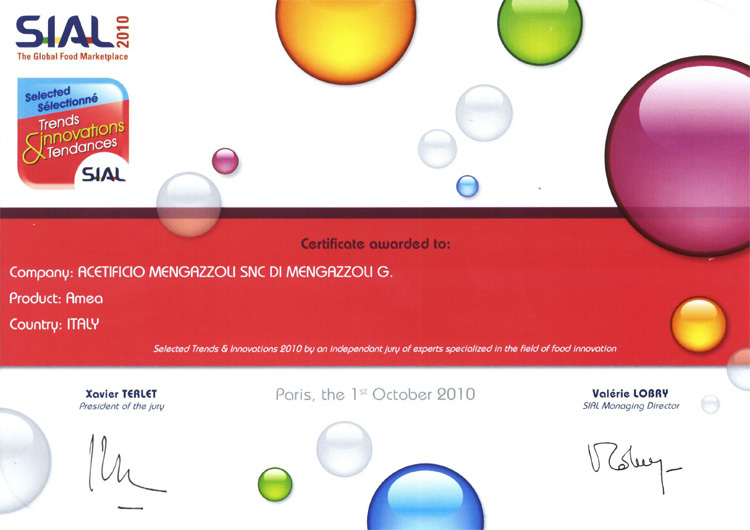 It is my pleasure to include with this letter your SIAL 2010 Trends & innovations certificate, acknowledging your selection at the Trends & Innovations Event. previous: Award "Le buone pratiche dell'agroalimentare 2010"